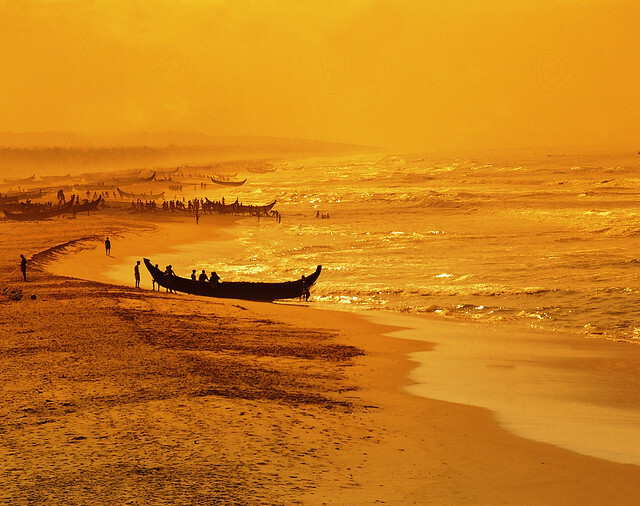 Popularly referred to as "God's own Country", Kerala is one of the most evergreen tourist destinations in India where you can plan your holidays anytime of the year. However, to experience the nature at its most luscious and invigorating best Kerala is best visited during monsoon so much so that Kerala is one of the top monsoon destinations in India. Upon arrival of monsoon in Kerala, the parched earth is revivified with pouring rains, the waterfalls in Western Ghats clamor thunderously and the forests and tea & spice plantations are all emerald and above all, monsoon in Kerala is best for Ayurveda and rejuvenation. The ancient Indian science of healing - traditional Ayurveda therapies- which rejuvenates mind, body and soul, is best taken at the start of the monsoon. With some of the most authentic and prestigious homes of Ayurveda located in Kerala, monsoon sees travelers from India and overseas flocking to Goa to reclaim their senses and achieve harmony of mind, body and soul. If you are planning your monsoon holidays in India, read on and take your pick! 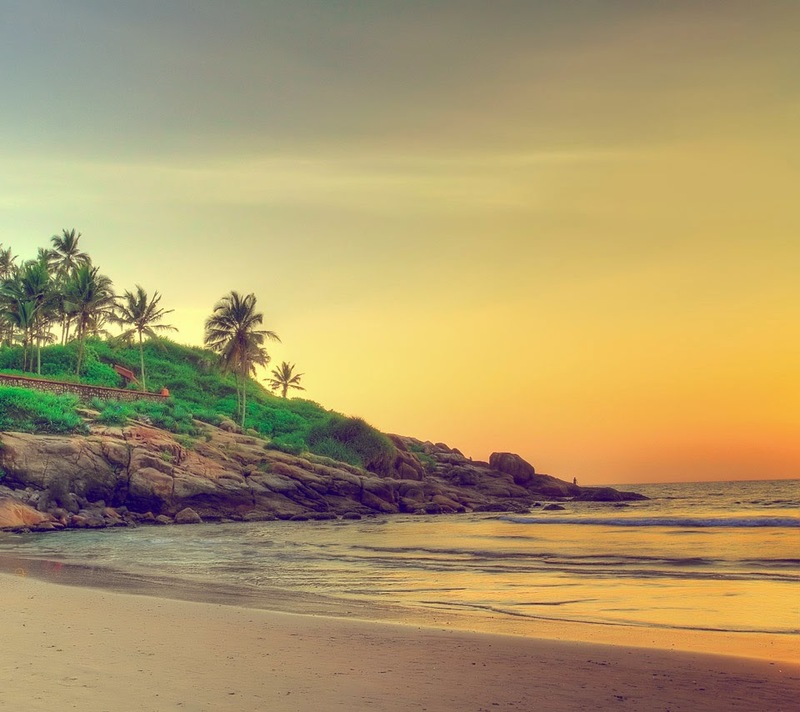 Although beaches mostly remain out of bounds during monsoon, you may chase the rain from the backseat of a private taxi all the way to Varkala from from Kovalam. With its quaint cottages and undulating mountain cliffs, Varkala is one of the most charming places to be in Kerala during monsoon. The red laterite cliffs feature waterfalls that flow with mineral rich water. These gushing streams are believed to cure all sorts of ailments. Now far away from Varkala, there is yet another picturesque country side Kollam nestled in the banks of the Ashtamudi Lake. A hub of Kerala’s cashew industry, this remote hamlet offers very good sightseeing opportunities by the waterways of Ashtamudi Lake dotted with palm and coconut trees. It is here that you find the one end of the famed backwaters of Kerala. From here embark on the most memorable stretch of your monsoon holiday in Kerala. Take a traditional rice barge or the kettuvallams and sail amidst the gentle lapping of water enclosed with palm fringed coasts to Alleppey. Succulent rice fields, houseboats (a lot of them), canoes and small villages will greet your arrival. The center of Alleppey now rechristened Alappuzha is a a world of mayhem with thousands of houseboats and thriving tourism but blessedly during monsoon, you will find peace even in the very heart of the city. Some of the best places to visit in Kerala during monsoon are the gushing waterfalls located in the Western Ghats. Replenished by the rains, waterfalls with their rumbling sounds cast a bewitching spell in the atmosphere. 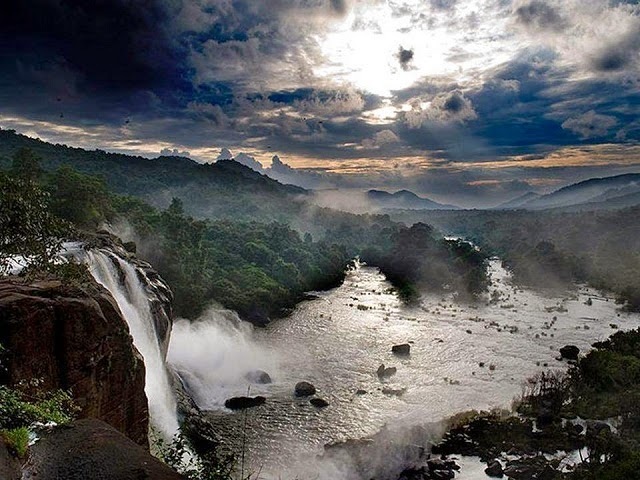 The best place to be in Kerala at this time of the year is Athirapally waterfalls. 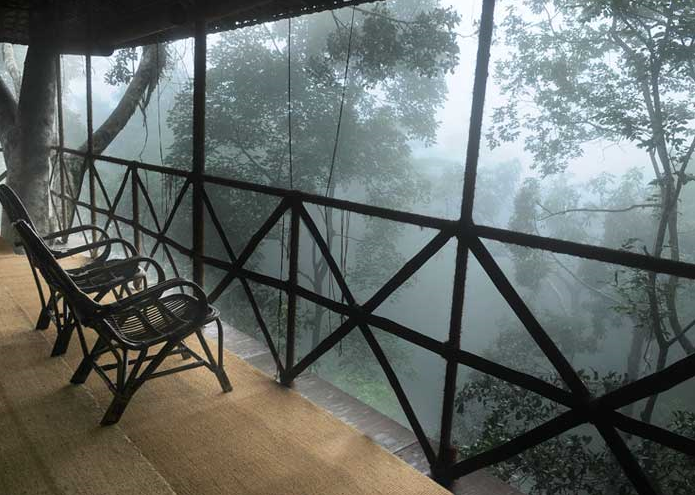 Stay in one of the tree houses nestled in the lush tropical rainforest near Athirapally Waterfalls and experience the communion with nature as you listen to the chirping of birds, rumbling waterfalls and drizzling of the monsoon rain in the virgin tropical rainforest. 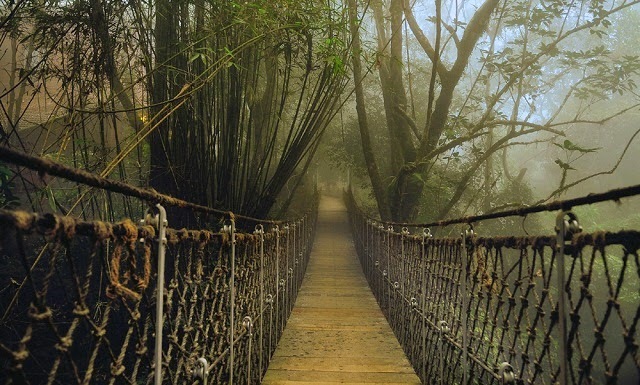 From here, travel straight into the heart of a 150-acre jungle hideaway Vythiri Resort in Wayanad, yet another popular monsoon destination in Kerala. Partake in the bounties of nature in one of the authentic tree houses some of which are perched over 80 feet above ground level. These tree houses are all made from all natural materials. Or you could also stay at one of the quaint cottages at Vythiri Resort which are equipped with luxurious amenities like Jacuzzi, private pools and suites. Rejuvenate and reclaim yourself by prescribing to Ayurvedic massages and treatments at the authentic Ayurveda center at Vythiri Resort. Move up in the world at Vythiri by way of a genuine cane lift and all your food comes from an organic farm. 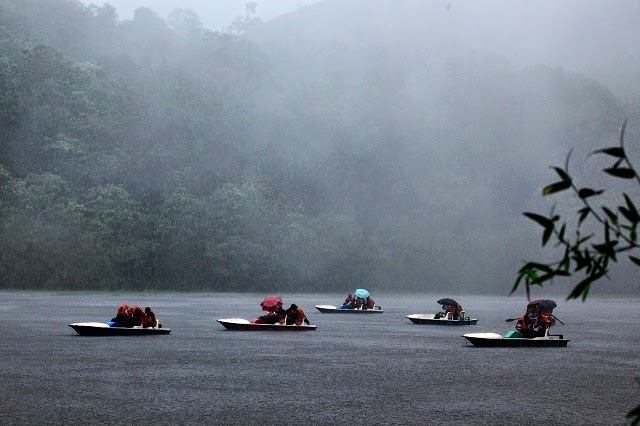 Another activity that is popular in Kerala during monsoon is the boat cruise in Periyar Wildlife Sanctuary. Periyar National Park in kerala happens to be the only reserve forest in India that is open to tourists even during monsoon. Tourists could opt for activities such as boating in Periyar Lake, visits to emerald spice plantations and elephant safari at PeriyarNational Park. 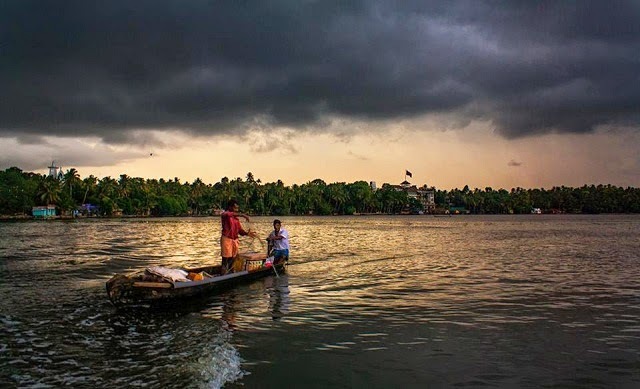 Yet another monsoon destination in Kerala is Kumarakom - a picturesque backwater settlement on the edge on the western banks of the Vembanad Lake. Stretching over 900 sq. km., the palm fringed backwaters of Kumarakom are considered the best in Kerala. It is one of the most romantic places ideally suited for honeymoon in India. There are several Ayurvedic Resorts too that are best visited during monsoon. Visitors to Kumarakom could also opt for activities like canoe, motor boat or a houseboat and savor the beauty of this backwater paradise at its best.